A resistor will resist the current flow in an electric circuit. 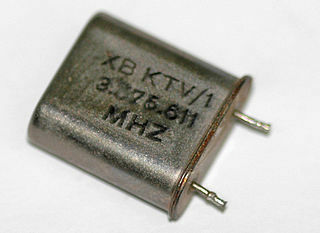 This is probably the most common electronic component of them all. 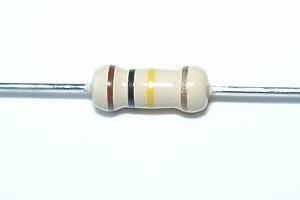 Usually the resistor is used to set up the correct voltages in a circuit to make it work properly. 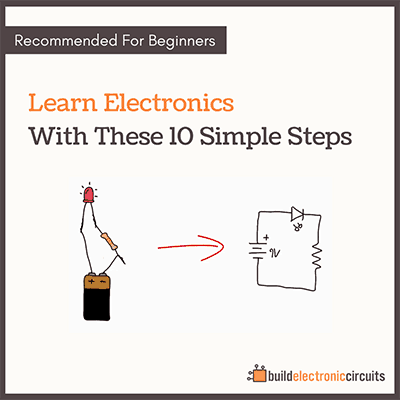 Learn how to choose the right resistor for your electronic circuit. 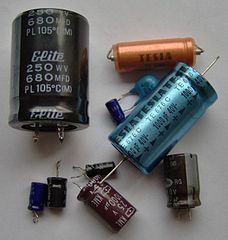 A capacitor is like a battery with very low capacity. It might for example be used to introduce a delay in a circuit. Learn how to choose the right capacitor for your electronic circuit. A diode is a component that only conducts electricity in one direction. It is commonly used if you want to convert from alternating current (AC) to direct current (DC). 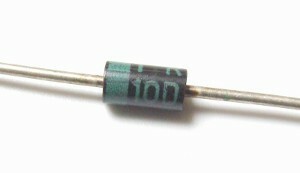 Other types of diodes include Light Emitting Diode (LED) and Zener diode. 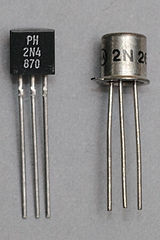 A transistor is similar to a relay in the sense that you can use it to turn on and off a current. The transistor is what makes amplifiers work. 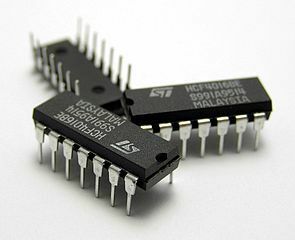 An integrated circuit is a circuit made up of several tiny components and placed in a small package. It could be anything from a microcontroller to a radar system. A relay is a switch that can be controlled electrically. If you connect power to the relay, the switch opens. If you disconnect the power, the switch closes. (Or vice versa). Learn how a relay works. 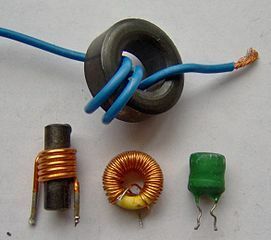 Inductors are strange components made up of wire in a coil. They don’t like high frequencies. It is a little bit difficult to understand what they do without knowing a bit more theory. I have have written a more elaborate article called What is an inductor? A crystal oscillator is a component used to create a precise frequency for example as a clock for a microcontroller. 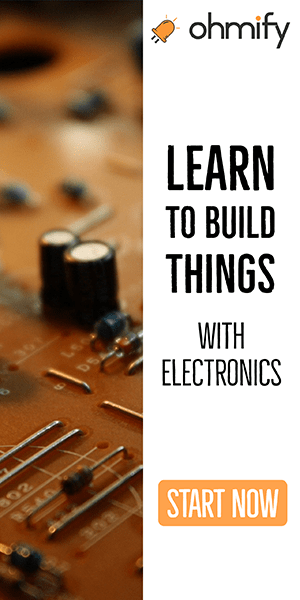 Microcontrollers can be thought of as a tiny little computer. You can program them to do whatever you want. They are within almost all electronic products today. In your fridge, in your camera or in your phone. The 555 timer is a classic. It has been with us since the 70’s. It is used mainly for creating timers, oscillators and pulse generators. 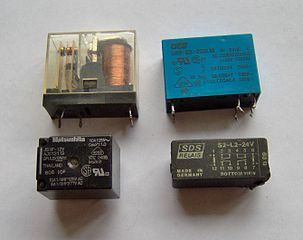 A voltage regulator is an electronic component that is used to convert a voltage from one level to another in a circuit. It is useful for example if your circuit needs 5 V, but you want to be able to use a range of voltages, maybe 9-15 volt, as power source. 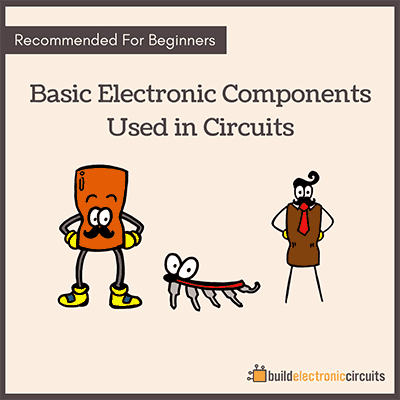 That concludes the simple electronic component guide.